NORMAN, Okla. (AP) — Students from eight Norman elementary schools came to the University of Oklahoma recently to do one thing: design the best parade float. OKLAHOMA CITY (AP) — An attorney for former University of Oklahoma President David Boren said Thursday Boren denies any inappropriate behavior during his more than 20 years at OU and described a university probe as a "character assassination." The Jones Day law firm was retained to conduct an investigation after OU received allegations of "serious misconduct," but university spokeswoman Lauren Brookey did not say whether Boren was a target of the probe. NORMAN, Okla. (AP) — The condition of the University of Oklahoma's finances remains troubling, despite recovery efforts taken in the last seven months, OU's chief financial officer said in a report to the Board of Regents. OU President Jim Gallogly asked CFO Ken Rowe to provide a status report at the regents' meeting last week, The Oklahoman reported. 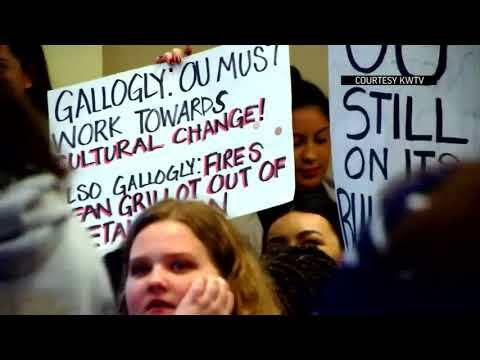 NORMAN, Okla. (AP) — The president of the University of Oklahoma says recent videos showing people in blackface serve as a "call to action" as the university continues to pursue greater diversity among students, staff and faculty. OU student Ashonte Winston tells KWTV the man's actions are ignorant and that she shared her video "to stand for something." 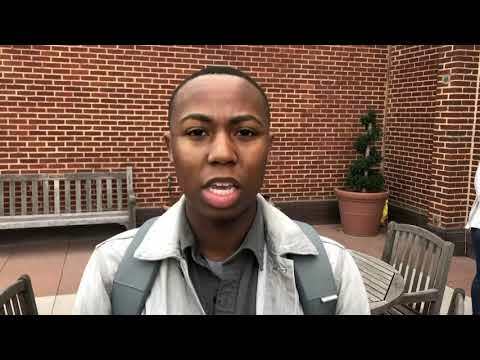 NORMAN, Okla. (AP) — Two University of Oklahoma students have voluntarily withdrawn from the school after one appeared in a video posted on social media wearing black face paint and using a racial epithet, the university's president said Monday. Jim Gallogly said the two women apologized for what he called a "shocking, racist video" and that they appeared taken aback by the backlash after the video appeared on Twitter Friday. NORMAN, Okla. (AP) — Authorities say one person was injured in a fire at an apartment complex near the University of Oklahoma campus in Norman. Deputy Fire Chief Mike Wilson said the fire was reported about 3:30 a.m. Friday at The Commons On Oak Tree and caused heavy damage. Wilson said a man was injured after throwing a rope from an apartment window and either trying to climb down or falling. Wilson said the man was taken to a hospital in undisclosed condition. NORMAN, Okla. (AP) — The OU Tom Love Innovation Hub turned into a trade show floor recently, as the inaugural Entrepreneurship Expo brought out investors, onlookers and plenty of ideas. Some came with established ideas, such as Real Kitchen Salsa, the Loveworks, Inc. facilitated company run by middle schoolers. OU alumni living nearby brought their ideas and innovations to share. NORMAN, Okla. (AP) — A new University of Oklahoma program will help cover the school fees of students who receive Oklahoma's Promise tuition scholarships, school officials said. NORMAN, Okla. (AP) — Writing isn't just for reading. It can also be expressed through other methods, like film. That's what University of Oklahoma professor Andrew Horton recently conveyed to about a dozen members of the Norman Galaxy of Writers at the Norman Central Branch Library. OKLAHOMA CITY (AP) — University of Oklahoma and Oklahoma State University special license plates continued to be among the hottest sellers offered by the Oklahoma Tax Commission last year, with the OU tags slightly more popular than the OSU ones. NORMAN, Okla. (AP) — A University of Oklahoma law professor has resigned from his administrative position following criticism of passages in his 2014 book in which he said women should not wear pants because they "must veil their form ... out of charity toward men." NORMAN, Okla. (AP) — The University of Oklahoma's president says he's still finding inefficiencies and waste in the institution's finances. University President James Gallogly told the Tulsa World that he's concerned about the university's investments in student housing and residential colleges. NORMAN, Okla. (AP) — Women in research meteorology have long been in the minority, said Pamela Heinselman, a supervisory and research meteorologist at the National Severe Storms Laboratory. Heinselman is chief of Forecast Research and Development Division and manager of the Warn-on-Forecast Program. She also serves as an affiliate associate professor at the University of Oklahoma School of Meteorology. NORMAN, Okla. (AP) — The University of Oklahoma says its vice president for research is stepping down to prepare for a confirmation hearing after he was nominated to be director of the White House Office of Science and Technology. The university said Monday that Kelvin Droegemeier will take a leave of absence without pay upon U.S. Senate confirmation for the job. The university says a national search will be undertaken at a later date for a permanent vice president for research. OKLAHOMA CITY (AP) — The University of Oklahoma and Oklahoma State University both say all marijuana, including medical marijuana, remains banned on the two campuses. OKLAHOMA CITY (AP) — University of Oklahoma's former chief diversity officer illegally used a university vehicle hundreds of times to commute to and from work and make personal family trips, according to an internal OU audit released on Thursday. A University of Oklahoma internal audit shows that the school's former chief diversity officer illegally used a university vehicle hundreds of times to commute to and from work and to take family trips. OKLAHOMA CITY (AP) — A new survey shows the chief executives of Oklahoma's public colleges are paid below the national average. The Oklahoman reports the survey from The Chronicle of Higher Education found that heads of public colleges in the U.S. were paid an average of about $560,000 last year. NORMAN, Okla. (AP) — The new president of the University of Oklahoma announced Monday, his first day on the job, that he is laying off about one-third of the executives who report directly to him. Restructuring will help keep tuition rates stable and work toward pay raises for faculty, OU President Jim Gallogly said in a news release. NORMAN, Okla. (AP) — The University of Oklahoma could see layoffs as it faces a $15 million operating loss for the coming fiscal year, according to the school's incoming president. Jim Gallogly told the Tulsa World on Thursday that he may have the university look at non-faculty staff for more efficiency when fixing the fiscal hole he'll inherit after taking over as president July 1. "I can't tell you numbers or anything, but we have to at least make up $15 million," he said.